I am ecstatic and proud to say that I am now officially an uncle of a beautiful little angel – Annika Lily Beecham. Born September 21st at approx. 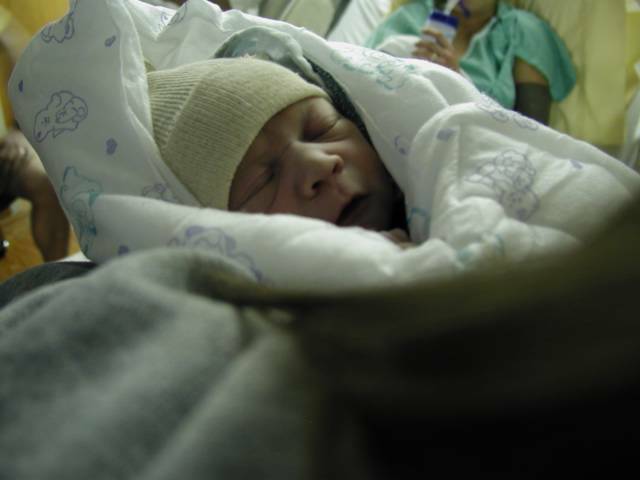 2:30 a.m., 7lbs 6oz, 19in., sandy brown hair, blue eyes. The proud parents are my brother Jon and my sister-in-law Allison. Thank you Father, Son, & Holy Spirit for a safe delivery and a healthy, beautiful baby girl for my brother! Glory to God for All Things! I Smell the Fresh Baked Bread of Heaven…	HAPPY THANKSGIVING!! Congrats to all! I wish I could have been around to share in the excitement, but I’m glad all went well. Woohooo… Thanks be to God:).. Wish I could be there! Joel & Ange; wish you were both here too. Hope all is well! Miss you! Lucas! What’s up? This is Art. Hey, I’m new to this blog stuff, and having a blast. This is so much fun. I didn’t know you guys had sites. I just checked out Rab and Joel’s. Is there any one else we know who has one. I’m definitely having way too much fun with this. Anyways, just letting you know I’m out there somewhere. Talk to ya later man. Wow! Awesome to see you have joined the blogosphere! I’ve checked out your site, but haven’t had time to comment yet. Looking forward to reading more from you.